Hey guys and welcome back to my blog! 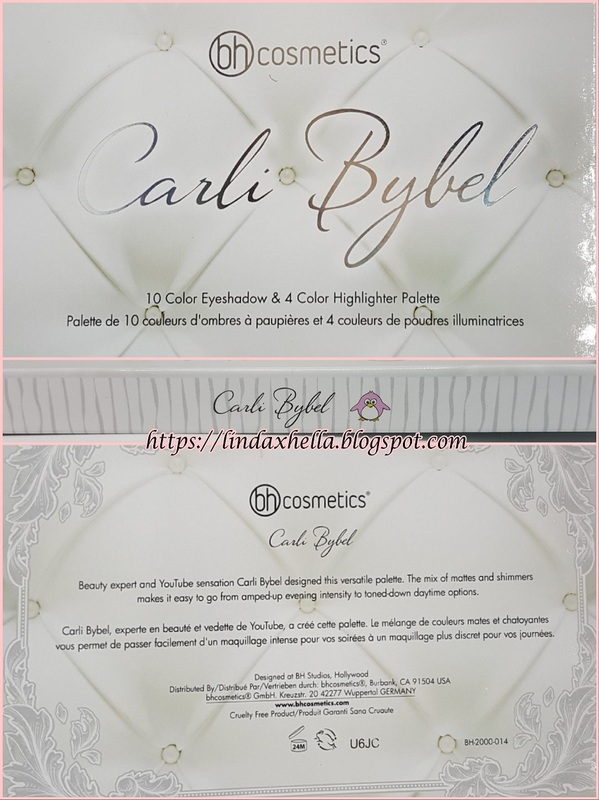 I finally got the Carli Bybel palette! I know it's been out for about a year or so, but I was finally able to get it and some other things for my 28th Birthday. I was so excited when my Ulta package came that I immediately opened everything and was in heaven! 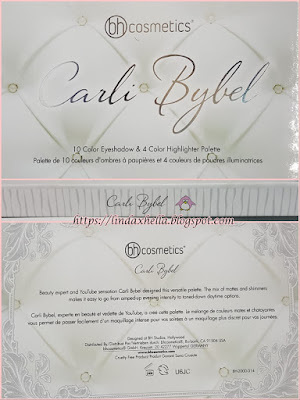 My first Impressions of the Carli Bybel Palette were that it was so clean and beautiful. The white tufted and pearl background are so beautiful, especially with the contrast of the silver and black text on the front. The inside has again a beautiful white and silver striped look with filigree accented corners, a large mirror on the inside of the life with the quote “Aspire to Inspire”. I honestly love that quote, not to sound too corny or ironic, it’s actually such an inspiring quote. There are ten eye shadows and four highlight shades. Five matte shades and five shimmer shades, and of course the highlight shades are shiny and shimmery. All of these shadows and highlights are silky, creamy and so pigmented and blendable. 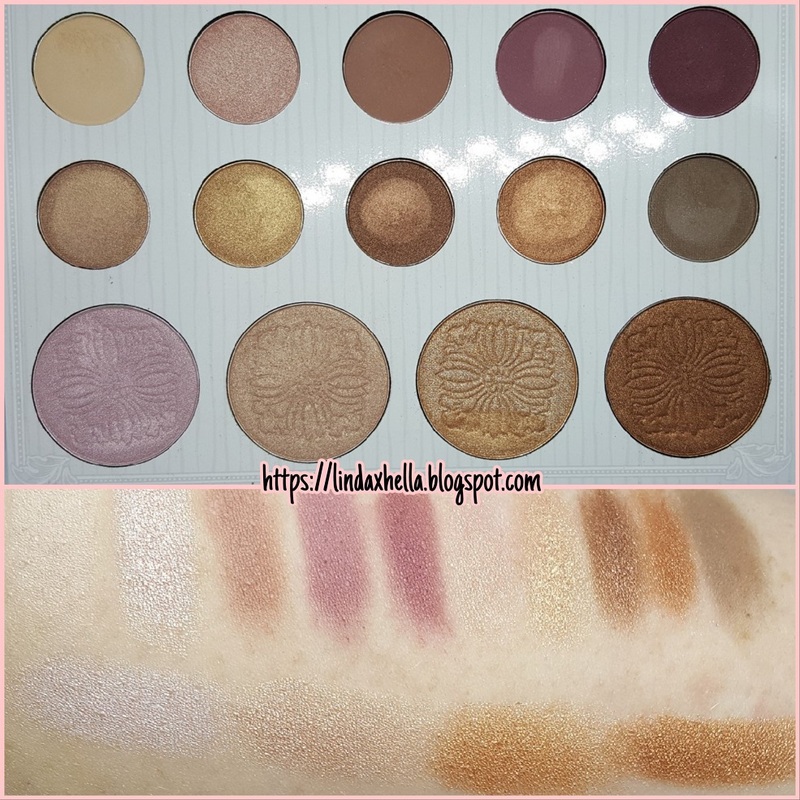 I was so impressed with the quality of the shadows and highlights, I’ve never had such a nice palette. The shades all range from nudes, browns, bronzes, pinks and plums. They’re all so beautiful. You can honestly create so many looks using the Carli Bybel palette! I'm so happy with my purchase! 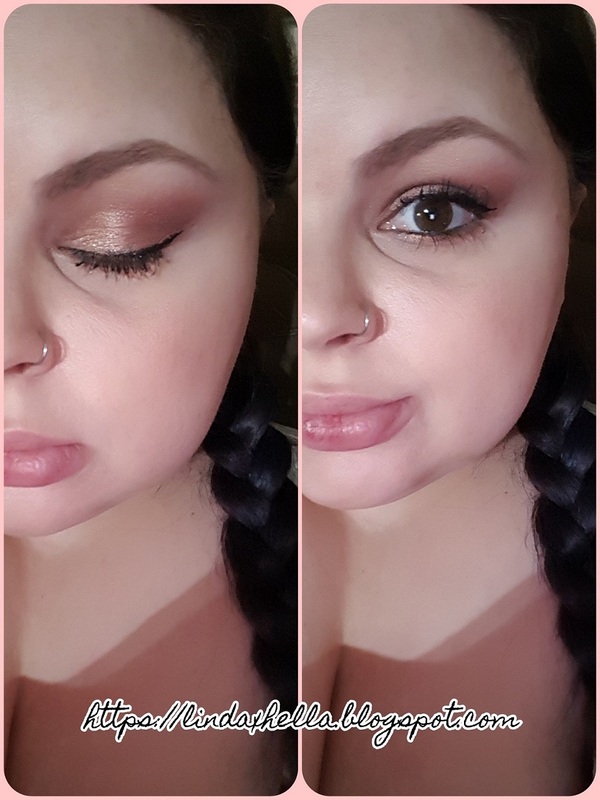 To start of this look I primed my eyelids with the Hard Candy Eye shadow primer, it’s the only one I’ve found that I love. Since the colors don’t have names, I have the photo numbered and will be referencing the shadows by the number on the photo. I set my eyes with shade 1 to create an even lid shade and make it smoother for blending. I went in and a little above the crease with shade 2 a few times, building up the faded hazy look. Then I went in the outer half of the crease with shade 3 and kept it in and just below the crease. On the lid, I used shade 4 and blended it up to the crease, and I brought it on to the bottom lash line. For my highlight, I used shade 5. Today I tried a lot of new products, I’m going to say a few things about each. Ulta classic felt tip liner in black. - It’s so pigmented and easy to use. Would recommend. Maybelline Fit Me Matte + Poreless Foundation, Porcelain 110. - Sheer to medium coverage. Maybelline Baby Skin Instant Pore Eraser Primer. - Silky, clear, seems like it works alright. Broadway Beauty Eyebrow pencil, Black / Brown. - I love this thing! Broadway Colors Lengthening Mascara in Black. - Dryer formula, had fibers. I really like it. Ulta Full Coverage Concealer, Light Cool. - Holy grail concealer! E.L.F. Cosmetics Makeup Mist & Set. - This is the only setting spray I’ve tried, I like it. L.A. Girl Pro Setting Powder, Translucent. - So silky and beautiful, Horrible flash back! Ulta Velvet Blush in Princess. 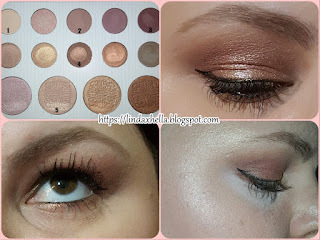 - Such a natural look, very soft and pigmented. NYC Smooth Skin Bronzing Powder, Sunny. - Warm, pigmented and easy to blend. Coty Airspun Face Powder, Naturally Neutral. – Holy grail setting powder. Juice Infused Lip Oil, Cranberry + Pomegranate. – Goes on clean, smells amazing. Thick and stays on a long time. Thank you guys for checking out my review today, I hope you enjoyed it! I had a lot of fun playing in the Carli Bybel palette and I love it so much! I’m going to do so many more looks using it! Don’t forget to comment down below and follow me on social media!